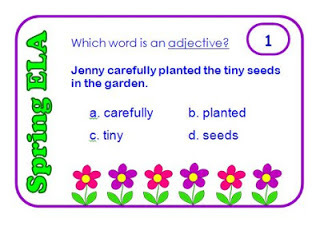 Many of the ELA Common Core standards are addressed, making this a great activity for test prep or literacy centers. 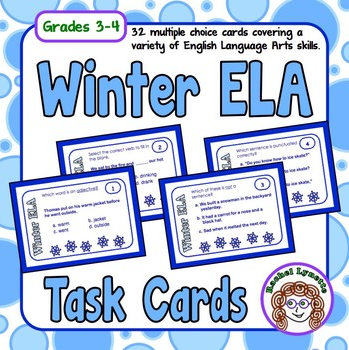 Another great thing about these cards is that they focus on the weather, wildlife, and activities of the seasons rather than on holidays, so they can be used during any part of the season and in any classroom. 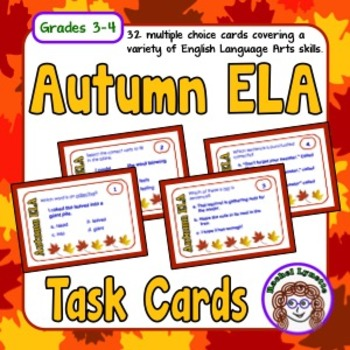 So far, I have made a set of cards for Autumn, Winter, and Spring. Summer ones will be available in a few months. 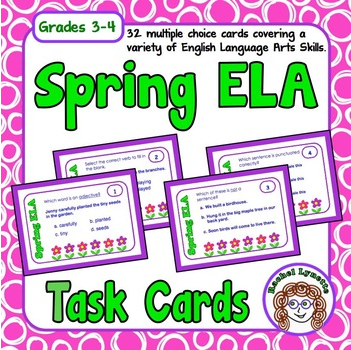 Each set contains 32 cards, a student answer sheet, an answer key, a cover, a card, and a challenge card. Sets cost $2.75 each.